Hope you’re all having a wonderful December so far! 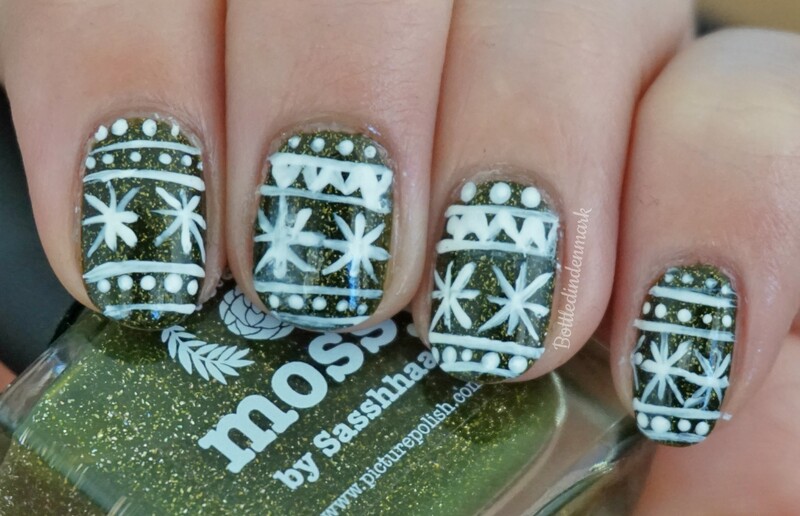 Today’s mani is inspired by ‘ugly’ christmas sweaters. The print is layered over one of my favorite polishes right now – Picture Polish’s ‘Mossy’. So cute! Did you do those yourself?